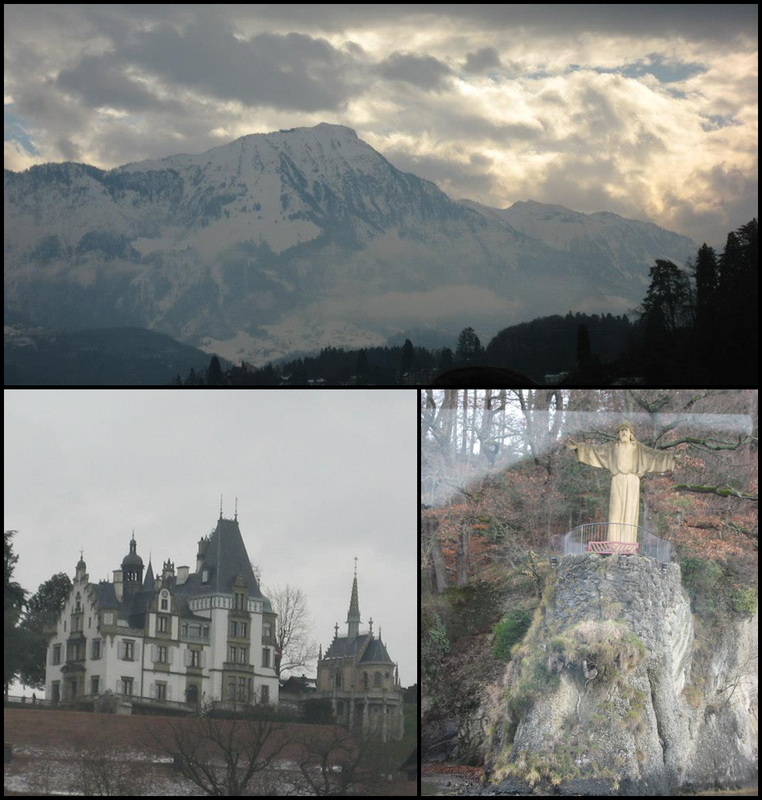 Before long, we were on board the bus and arriving in Zürich, the largest city in Switzerland. Everything was decorated for Christmas with lights strung between buildings and decorations throughout the streets. If that weren’t enough, Zürich was also home to one of—if not the—largest Christmas markets in all of Europe. The market was housed in a train station and there was stall after stall of hand crafts, delicious foods, and the most gorgeous Christmas tree I have ever seen. As is true with most beautiful things, the pictures just do not do justice to the sparkle and brilliance of the tree. 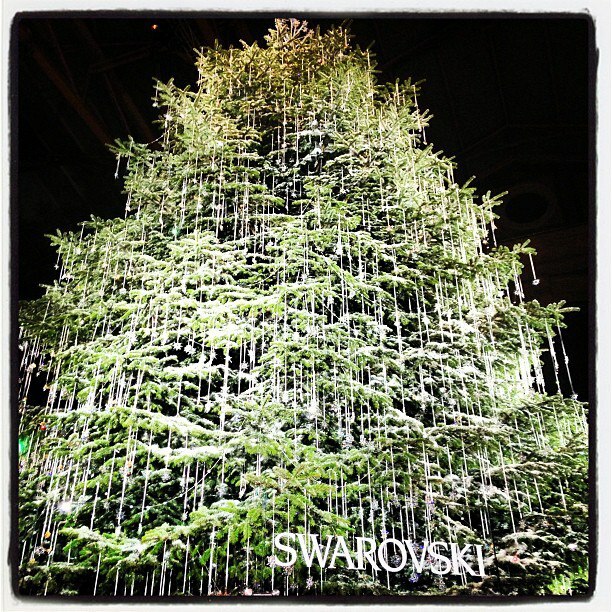 On every branch of this towering pine were Swarovski crystal snowflake ornaments totaling an estimated $2 million dollars. That’s right. Two. Million. Dollars. We stopped at the Swarovski stall to see about getting one of these gorgeous snowflakes, but when we found out the price for just one ornament ($245!) we decided to walk away empty-handed. The picture of that tree will be forever burned into my brain and that is much more priceless than having just one of those twinkling ornaments on my own plastic little three-footer. But in the event that I win the lottery, it’s on. 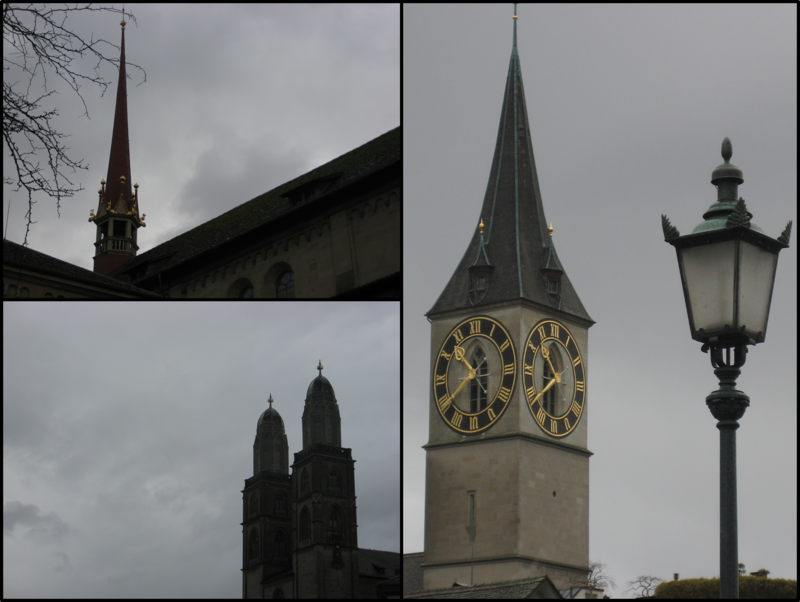 The next day, we toured a drizzly Zürich by foot and watched as preparations were made for a run through the city. It seemed like everywhere we turned, signs for the race or barricades were in place for the athletic event. Nevertheless, armed with our umbrellas and warm coats, we set out to explore the cathedrals, university, and streets of Zürich. What can I say about Zürich? It’s a fantastic town full of luxuries that I found myself wishing I could afford. Like most of the places in Europe the world I’ve explored, I found myself making animal friends. Along the waterside, I “talked” with some very friendly ducks who decided it was much more fun to join the group at the docks rather than swim around us in the frigid water. I found myself particularly drawn to the Batman bird. What can I say, I admired his impression of the Bat Signal. 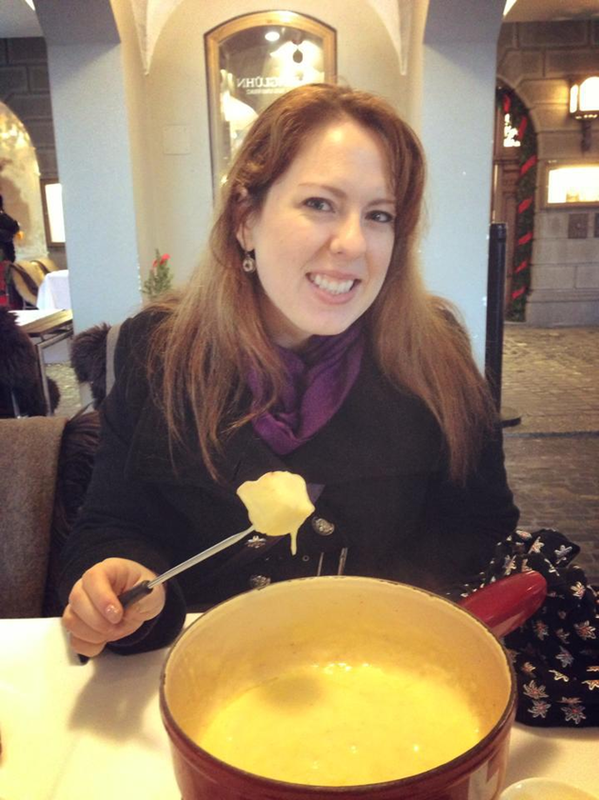 Fowl aside, I was on a mission in Zürich to taste one of the country’s most famous dishes: fondue. It took me several days in Switzerland to find a restaurant that could seat us without a reservation, but once I did, it was more delicious than I had ever imagined. No Melting Pot experience compares to the real cheese fondue that can be found in Zürich. If you’ve ever been to a fondue restaurant, you will immediately recognize the smell that hits your nostrils the second you walk through the door. It’s a little overwhelming. My mom and I were fortunate enough to find a restaurant that had outdoor seating, complete with comfy blankets you could wrap yourself in to guard against the colder temperatures and fresh air to balance out the smell of melted cheese. We found a cozy table next to another group of Americans that gave us a great spot to watch the children’s races of the event that seemed to cover the city. But the true treat was the fondue. There is truly nothing like real fondue made with the best cheeses and it was definitely worth the wait to find a restaurant that was open during lunch. Armed with potatoes, bits of bread, and slices of pears, we dipped and smothered our way to culinary nirvana. I am so glad we had the chance to experience a true fondue meal and I was definitely full after devouring more than my share of the pot. As much as I enjoyed the fondue and walking around the city, the highlight of Zürich was being able to meet my first blogging friend. If you all don’t already follow Cécile over at Trying to Be Conscious, hop to it. You won’t be sorry. We met outside of the train station and it was the most comfortable first meeting I’ve ever experienced. Rather than that awkward small talk that is common among people meeting for the first time, we picked up like old friends and Cécile was kind enough to invite my mother and me to a bar high above the city where we could take in the sights from the sky. She even brought me the most delicious bar of chocolate I have ever eaten. The word lovely is truly the only way to describe Cécile. Completely kind and utterly adorable, she made both my mother and I feel like we had made a true friend and I couldn’t be more grateful. 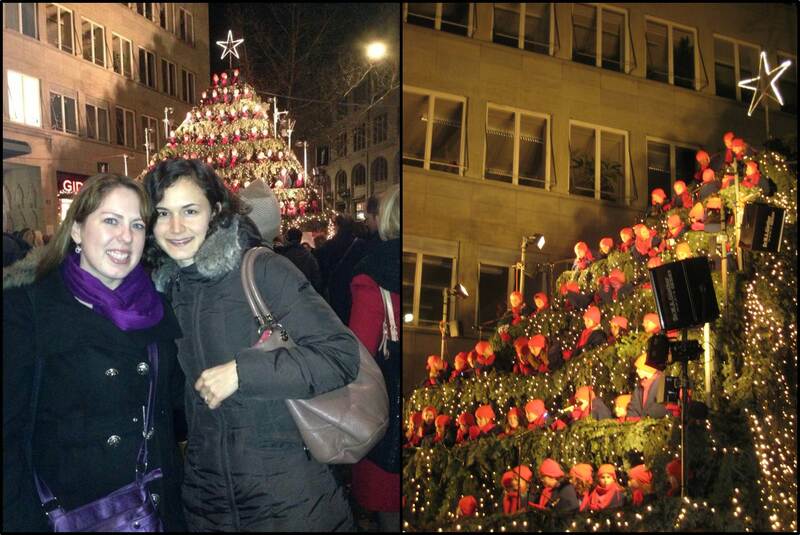 After a round of drinks, the three of us headed to Zürich’s very own Singing Christmas Tree. The tree was a structure of several levels that school-aged children climbed up into to sing impressive Christmas songs in five languages: Swiss-German, German, French, English, and Spanish. These kids were impressive and their enthusiasm was infectious! With glühwein in hand, it was the perfect last night in Zürich. A big thank you to Cécile for finding the time to show us around her town before she moved halfway around the world to New Zealand. It was a night that I won’t soon forget. And that’s it, my dears, the end of my Christmas in Europe adventure. I’m so glad to have taken you all along for the journey and I hope you can experience all of these wonderful places in your own travels someday. You can say I sent you.